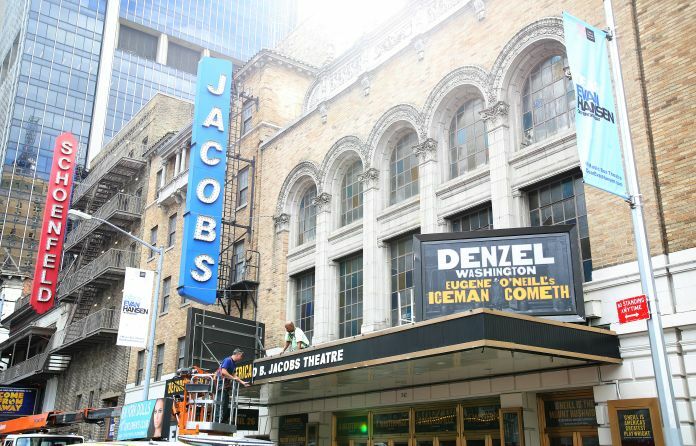 “The Iceman Cometh,” starring Denzel Washington, announced the rest of its cast Thursday. The cast of the Eugene O’Neill revival, directed by George C. Wolfe, includes Colm Meaney, David Morse, Bill Irwin, Tammy Blanchard, Carolyn Braver, Austin Butler, Joe Forbrich, Nina Grollman, Thomas Michael Hammond, Neal Huff, Danny Mastrogiorgio, Dakin Matthews, Jack McGee, Clark Middleton, Michael Potts, Reg Rogers and Frank Wood. Performances begin at the Bernard B. Jacobs Theatre on March 22, with an opening night on April 26. The show will play a 14-week limited engagement. “The Iceman Cometh” is produced by Scott Rudin, with a creative team including Santo Loquasto on scenic design, Ann Roth on cosutme design and Jules Fisher and Peggy Eisenhauer on lighting design.